Search Engine Optimization (SEO) is a huge topic, with all kinds of opinions and beliefs about it. Some consider SEO to be nothing but spam and gaming the system, but the truth is that it all depends on how you use it. First, let me share my story. In 1994 I first started creating web pages on the internet. I used Mosaic and Lynx as my first web browsers and the web was much smaller then. I submitted my web page to akebono.stanford.edu/yahoo (which later moved to yahoo.com) one evening before going to dinner. Later that night I got an email saying my site had been added and they liked the content. I don’t have a copy of that email, but it gives you an idea of how friendly and intimate the internet once was. Initially, I learned about new sites from friends, web sites and directories like Yahoo. 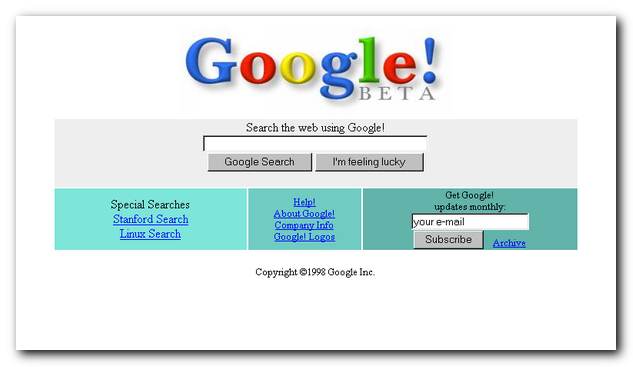 When Google came onto the scene a few years later, the way people found a web site had changed. Instead of looking at a category in a web directory, you could type in a few keywords. That meant web site owners could no longer focus on their content. They had to figure out how to rank well for the keywords people were using. That is the essence of what SEO is today - getting your site to rank well in a search engine. Invariably, someone figured out a loophole that let them rank well. In the early days of Google people used tricks like loading popular but completely unrelated keywords into the bottom of their site. They made the text of those keywords the same color as the background. This made the text invisible to a regular user, but not to Google’s search engine spiders. This is the million dollar question. If you could reliably answer it, you could rank #1 all the time. But what if other people knew the answer too? That’s been the ongoing process of SEO over the years. A few people figure out a new strategy, then more and more people start using it and before too long it doesn’t have much of an effect on your ranking. Having a blog that you updated regularly used to be a great way to get a good ranking in Google, but spammers used this strategy with meaningless but frequent content, and Google had to make adjustments. Before I give you any basic tips on SEO, be aware that the details change frequently. Google used to release major updates every few months to their algorithms. Now they’re making changes all the time. And to make it even more complex, they personalize search results based on a variety of factors like your web browser, if you’re logged in to Google and your geographic location. If you’re not actively following the latest news and changes from experts like Danny Sullivan at Search Engine Land, Moz and SEOBook, I wouldn’t recommend focusing on SEO as your primary source of traffic. It’s too hard to keep on top of it all and even if you manage to get a top ranking on Google, you could easily lose it (and a large portion of your traffic) when a new algorithm comes out. Write for your audience first. The only way Google can stay relevant is to deliver what readers want to see. If you are writing what users want to read, then if Google does their job right, you will eventually get a decent ranking. If you ever find yourself doing something just for search engines, especially if it’s annoying or obtrusive to regular users, stop. It’s not worth it and if it’s egregious in Google’s eyes, they may even penalize you for it. With all that being said, here are a few basic ways to optimize your site for search engines. One of the few elements you can count on always being important is having relevant, useful content. This is paramount. No matter what else you do, if your content is useful to people, they will be more likely to share it and link to it. Google’s spider sees text. That’s the primary form of content you want to have on your site. If you have nothing but images on your site, the alt tags aren’t going to be enough textual content to rank well. And if you have a site that’s entirely in Flash, fuh-get-abawd-it. Keywords can be a tough balance to strike. You want to use relevant keywords in your title, headers and content, but if a little is good, a lot isn’t better. Loading up too many keywords in your content is referred to as “stuffing” in the SEO world, and can hurt your ranking rather than helping it. Aim for a happy medium of keywords. You can give hints to search engines (and users) about what’s most important by using relevant keywords you want to rank well for in the title, meta description and headline tags (h1, h2, h3 and h4) on your site. This is a way to emphasize your most important content. But don’t abuse this. If you put unrelated keywords in your title thinking it will trick search engines, you’re missing the whole point (and it won’t work). These elements are primarily for your users’ benefit, but they’re also useful to a web crawler. Users prefer a site that loads quickly, and Google has started to take notice. If your site takes too long to load, users will leave without even seeing your content. Making your site load quickly makes for a better experience for users and search engines. When you have useful, relevant content, but it’s duplicated in several locations, search engines can have a hard time telling what’s most important. It can also make your site seem like it’s trying to load up on content, like spammy sites do, without even bothering to change the content. On Wordpress sites this can be a problem because your content is shown multiple times on the main page, in the archives, category archives, tag archives and elsewhere. Your best bet is to use the WordPress SEO plugin to help you figure that out. I have only been able to cover a very small amount, partially because I haven’t kept up on the latest changes to SEO and partially because SEO is such a huge topic. Here are a few resources to help you learn more about SEO. If an SEO expert claims they can guarantee you a #1 listing on Google, they’re lying. No one can guarantee that. See if their own site ranks well for keywords. SEO keywords are a highly competitive space. If they’re good at what they do, they should rank reasonably well for their own keywords. If not, how do you expect them to do it for you? Focusing on SEO can send you down a rat hole, where you become so concerned about search engine rankings and fail to create valuable content for users. First and foremost, write for your readers. Focus on creating value and even if you don’t end up with a top notch rank in the search engines, you can get traffic in other ways. Create a mailing list, do guest posting, joint ventures and regular old advertising. It’s by no means an exact science, but focusing on your readers will work out in the long run.